If you just stopped smoking, engaging in regular physical activity could help you reduce your cigarette cravings and withdrawal symptoms. However, starting a cardiovascular exercise program at a high intensity right after you quit smoking could be dangerous. To increase your cardiovascular exercise endurance after quitting smoking, begin at a slow pace. Cardiovascular, or aerobic, exercises include those that work large muscle groups and get your heart rate up for a sustained period. Engaging in aerobic exercises regularly helps keep your heart healthy and build your cardiovascular endurance level. Cardiovascular exercises include walking, running, biking, swimming, cross-country skiing, aerobics, using an elliptical machine, stair climbing and rowing. A 2007 review article published in the journal "Addiction" reports that small doses of exercise can help reduce your desire to smoke, your cigarette cravings and withdrawal symptoms related to smoking cessation. Studies examined in this article reported benefits from exercising at intensities ranging from 24 percent to 85 percent of heart rate reserves, and exercising durations lasting 15 to 40 minutes. According to a Purdue University webpage, your heart rate reserve is the difference between your maximum heart rate and your resting heart rate. Maximum heart rate is estimated by subtracting your age from the number 220. If you just stopped smoking, avoid exercising at high intensities, at least initially. According to a study published in a 2011 edition of "Nicotine & Tobacco Research," intense exercise can induce pulmonary oxidative stress in male cigarette smokers, which can lead to damage of the lungs. Compounds called oxidants formed in the body can cause oxidative stress, or cell damage. Lung damage caused by oxidative stress can lead to conditions such as asthma or chronic obstructive pulmonary disease. The average age of male smokers who participated in this study was 25.9 years old. If you begin a cardiovascular exercise program after you quit smoking, start by exercising at a low intensity for short durations. Walking, biking or swimming at low intensities for 15 to 20 minutes at a time is a good way to increase your cardiovascular endurance after you quit smoking. 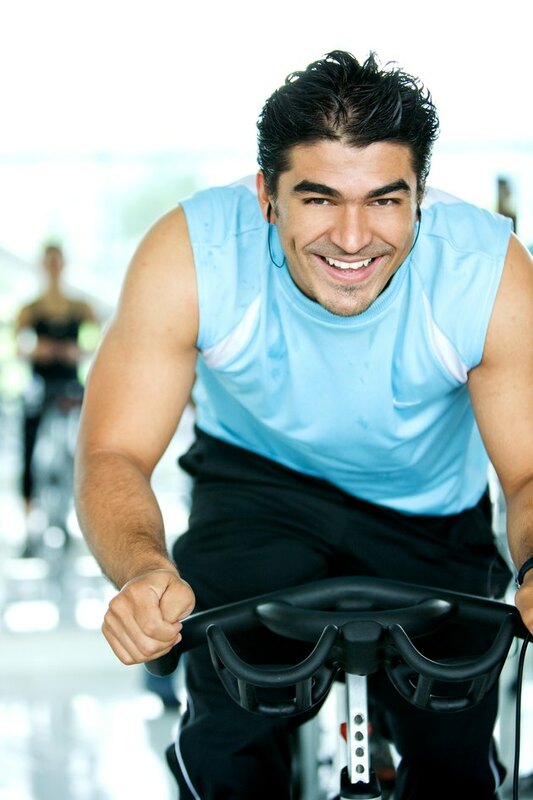 Gradually work your way up to moderate-intensity cardiovascular exercises for durations of 30 to 60 minutes at a time. To achieve substantial health benefits, the U.S. Department of Health and Human Services recommends adults participate in at least 2 1/2 hours of moderate-intensity aerobic exercises every week and strength-training activities at least two times per week. What If I Exercise at 95% My Maximum Heart Rate? Why Am I Gaining Weight After Walking a Mile Daily?